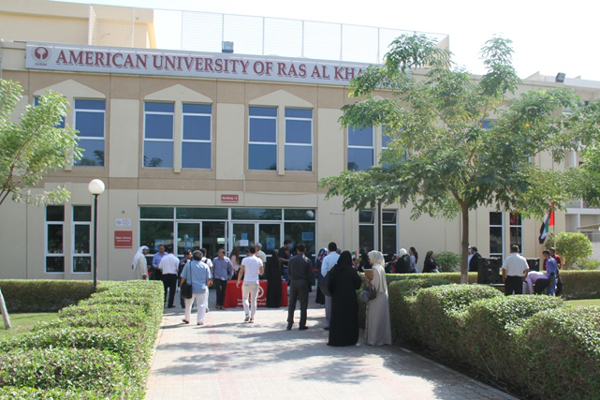 The American University of Ras Al Khaimah (Aurak) has signed an agreement with the University of Illinois, converting the US-based university into its latest international partner. The agreement, which was initiated by Aurak’s School of Engineering and the Department of Civil and Environmental Engineering at the University of Illinois’ Urbana-Champaign campus, is centered on the establishment of a ‘3+2’ co-operative academic program in which students can earn a bachelor’s degree at Aurak and a master’s degree in Illinois. Pen was put to paper by Prof Hassan Hamdan Al Alkim and Prof Mousa Mohsen, Aurak’s president and dean of the school of engineering respectively, as well as Robert J. Jones, chancellor of the University of Illinois, Reitumetse Obakeng Mabokela, vice provost for international affairs and global strategies, and Andreas Cangellaris, dean of the University of Illinois’ College of Engineering. Prof Al Alkim said: "We are delighted with this agreement, as it seals a very close relationship with an excellent institutions in the US and provides our students with a wonderful opportunity for further study." "Opportunities like this can effectively change lives, and at Aurak, we are immensely proud to offer these possibilities to our students through our own top-class education, as well as our network of partners across the world," he noted. At present, Aurak has a range of international partners across Africa, Asia, Europe and North America, opening a wide spectrum of possibilities to students, including exchange and study abroad programs for up to one year, as well as shorter, summer sessions.